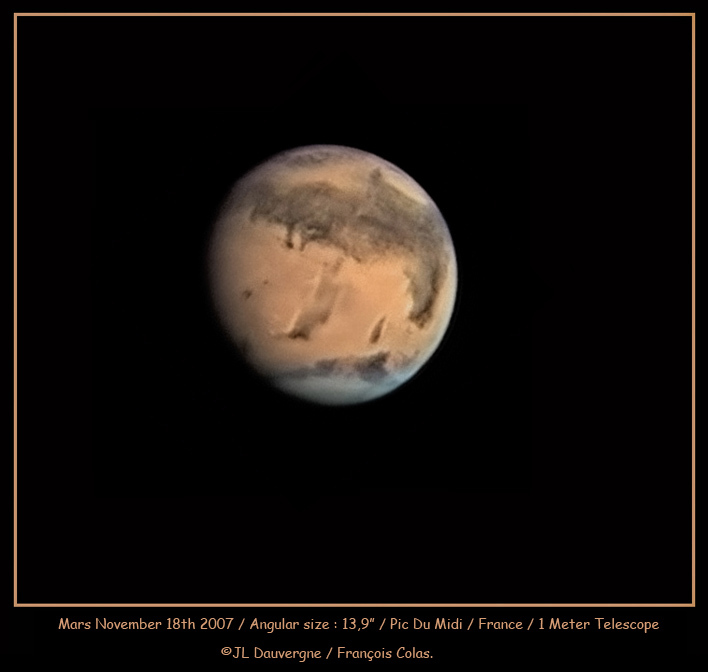 Explanation: Very good telescopic views of Mars can be expected in the coming weeks as the Red Planet nears opposition on December 24th. Of course, opposition means opposite the Sun in planet Earth's sky - an arrangement that occurs every 26 months for Mars. Because of Mars' more elliptical orbit, the actual date of closest approach to Earth will be December 18, when Mars will be within about 88 million kilometers of our fair planet. Situated in the constellation Gemini and rising after evening twilight, the bright, ruddy disk of Mars will reach nearly 16 arcseconds in diameter (about 1/100th the diameter of the Full Moon). In this already exceptional image taken on November 18, north is down and surface markings around the sprawling, dark, albedo feature Syrtis Major are remarkably clear. 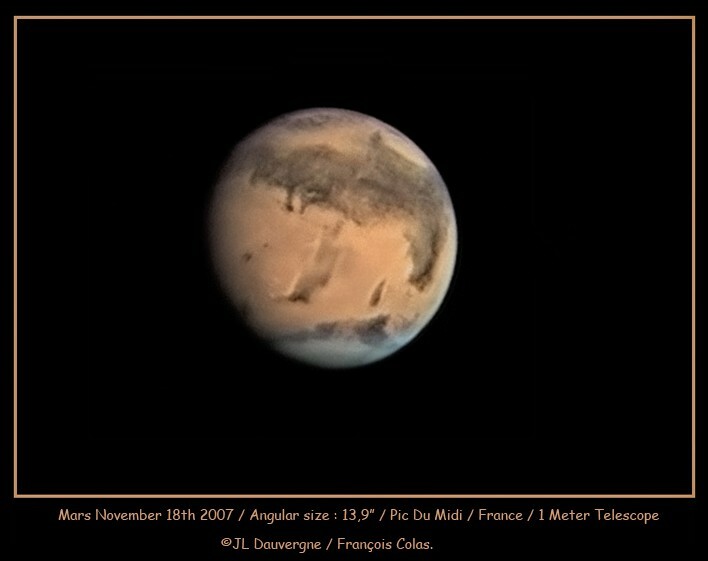 The image was recorded with a video camera and filters on a 1 meter telescope at Pic Du Midi, a mountain top observatory in the French Pyrenees. NASA launched the Phoenix lander to Mars in August, scheduled to arrive in May 2008.